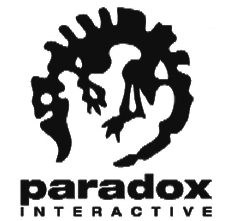 Paradox Interactive (not to be confused with Paradox Entertainment, from which it split off) is a Swedish computer-game publisher, which has a prominent internal development studio — Paradox Development Studio. The internal studio generally focuses on historical Real-Time Strategy games. Unlike most Real-Time Strategy games, the Paradox games tend to have a greater focus on the Grand Strategic level — you control not individual units but the resources of entire nations. Pre-2010, because of the scope of their games and a lack of budget, internal Paradox games were (in)famous for being incomplete and buggy at release, having a cliff-side learning curve whilst lacking proper tutorial, and utilizing unimpressive graphics and UI. However, Paradox reliably mitigated these flaws by providing decent support post-launch, maintaining a dedicated forum, and listening to customer feedback on said forum, allowing them to foster consumer trust despite all the problems their games had. Especially since their games filled a niche that pretty much wasn't catered to by anyone else. Because when a PDS game wasn't bugging out and the player had access to Google, the depth of their games provided a great deal of replay value. With online gaming platforms like Steam taking off, Paradox Interactive and its studio finally hit double A status in the 2010s with their cult-followed niche titles and a strong back catalog, leading to the streamlining and cleaning-up of their games' interfaces and mechanics while keeping the depth and mod-friendliness of the games that carved their niche, alongside having a better and bigger QA team. The increase in accessibility and quality of their games is apparent when one compares a pre-2010 Paradox game to a post-2010 one, with Victoria II being the turning point. PDS games also employ a game engine with fairly intuitive code. This, plus the fact that they have very supportive sub-forums dedicated to modding, encourages all to mod the games to their liking and even attempt to fix bugs themselves if they feel particularly codey. It's not unfair to say Paradox has been a strong proponent of Game Mods since the early days of the internet age. On the publishing side, they tend to go for niche but highly replayable titles from a wide variety of genres, e.g. Penumbra, Mount & Blade, the Magicka series, Dungeonland, Cities: Skylines and Pillars of Eternity. In October 2015, they announced they had bought White Wolf Publishing from its former owner, CCP Games. Hearts of Iron: A diplomatic and strategic wargame focusing on World War II. Has had three sequels. The 3rd most popular flagship franchise. Victoria ("Vicky"): Paradox's smallest of its 4 flagship franchises. Starts around the beginning Queen Victoria's reign (1838) and ends around World War I.
Europa Universalis: Rome (2008): A Spin-Off of EU which is more character-centric in the manner of Crusader Kings, set during the time of the Roman Republic. Sengoku (2011): A game somewhat similar to Crusader Kings, taking place in Japan during the Warring States period. Stellaris (2016): a space-based grand strategy game. Imperator: Rome (2019): A Spiritual Successor to EU:Rome, set in Antiquity and taking place during the rise of the Roman Republic. The games also boast an active community of writers of After Action Reports. An interesting feature is the ability to import your saves from one game to another using official or unofficial software tools or (if you have a lot of time and patience) manually, theoretically allowing you to play the same game from 769 to 1963. Svea Rike ("The Swedish Realm") : An Edutainment Game focusing on Swedish history. Sort of a predecessor to their later historically-themed games. Airfix Dogfighter: A game where you pilot a miniature plane and partake in a war waged by two World War II-based factions of plastic scale models inside a large human house. Developed by Unique Development Studios. Author Appeal: Easter eggs involving platypus, such as Australia getting renamed the Platypus Empire in Hearts of Iron III if it's turned into a People's Republic of Tyranny. Dev team member Moah is a fan. Of course, their own logo is a stylized platypus skeleton. Early Installment Weirdness: Most games developed by them have a completely different feel as time goes on and new patches are released. E.g. playing a game of EU IV on an early version is a totally different experience as compared to playing it with the latest patch, and this is excluding the DLCs. Guide Dang It! : Paradox games - and even games merely published by Paradox - have a terrible tendency towards confusing User Interfaces, horrible Tutorials and hint boxes that do better at blocking the screen than helping the player. No matter your experience with the genre, you'll be scrambling for an online guide within twenty minutes. Loads and Loads of Characters: Most of their games have anywhere from dozens to hundreds of factions, nearly all of them playable. Even the relative lightweight in this department, Stellaris, can support up to thirty empires (not counting special factions) on the largest map sizes. Moral Myopia: Across all games, the game narration praises the player's actions as an example of honor, righteousness, generosity, long-term thinking, practicality etc. etc. while the very same actions made by other countries are derided as "obvious" ploys, sign of desperation, greed etc. etc. Running Gag: The "comet sighted" event. Originally started with Europa Universalis, this event leads to a drop in stability (due to comets being seen as a bad omen), and it's infamous for having all options leading to the same outcome. "It's an omen" is the original option, "The end is nigh!" is added with the "In Nomine" DLC, "Ignore the peasant rabble." is added with the "Heir To The Throne" DLC, and "Don't look at the sky!" is added with the "Divine Wind" DLC. A similar "Comet sighted" event is present in Victoria 2, it however is a positive event granting you research points. It also has a number of choices giving the same, positive effect. The choices are: "Thank God we live in such enlightened times. "; "Keep looking at the sky! ", and "colonised comet would make a fine satellite! " In Crusader Kings II, comet sightings will sometimes appear in chronicles generated when you quit the game. Also, with "Way of Life" DLC, characters with learning focus can choose to pursue astronomy studies and observe comets, eventually concluding "So it's just a comet, not an omen of the end times..."
Europa Universalis 4 takes this "Up to Eleven", the list of options for this event becomes painfully long as more and more DLCs are released. The "Morton's Fork" was finally averted after "Rights of Man" DLC, which adds personality system for rulers. A country with scholarly ruler will just react "Fascinating" and gain 20 adm power instead of losing stability. Hearts of Iron 4 has a "Komet sighted" event, which occurs after Germany invents the rocket interceptor Me 163 (nicknamed "Komet"). Stellaris also has a comet sighted event, with effects depending on your country's ethos.